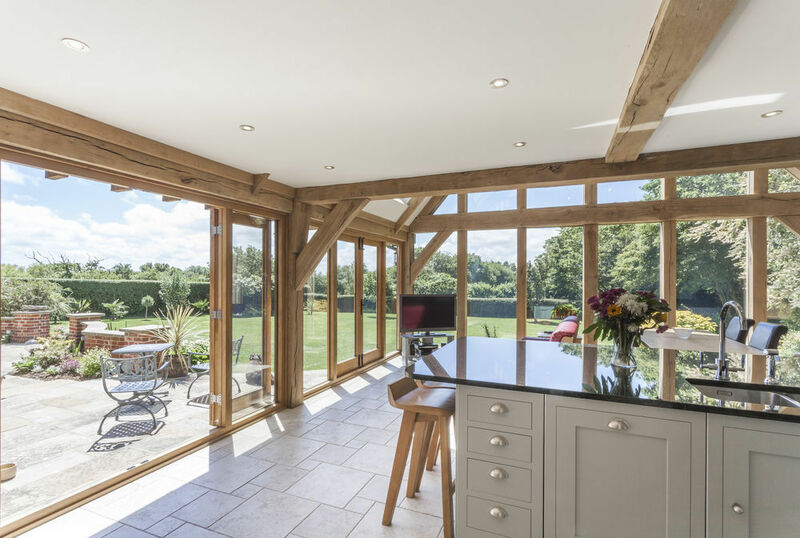 This large oak framed sun room was designed and fabricated in air dried oak to give a beautiful rustic appearance, but also give the frame the stability to be able to encapsulate glazing directly into the oak components. Read on to see how we achieve this. 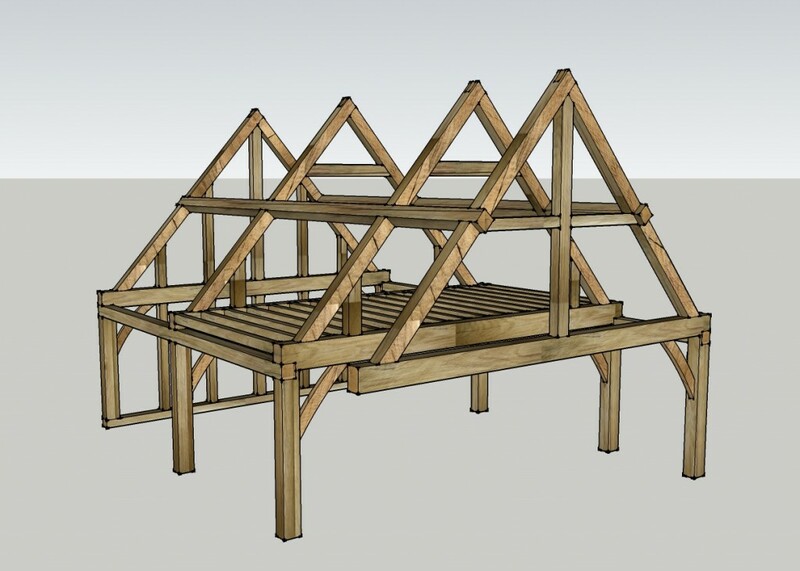 We were asked to design the frame based on the architects drawings, but also asked what the best option would be to have a full glazed gable end. 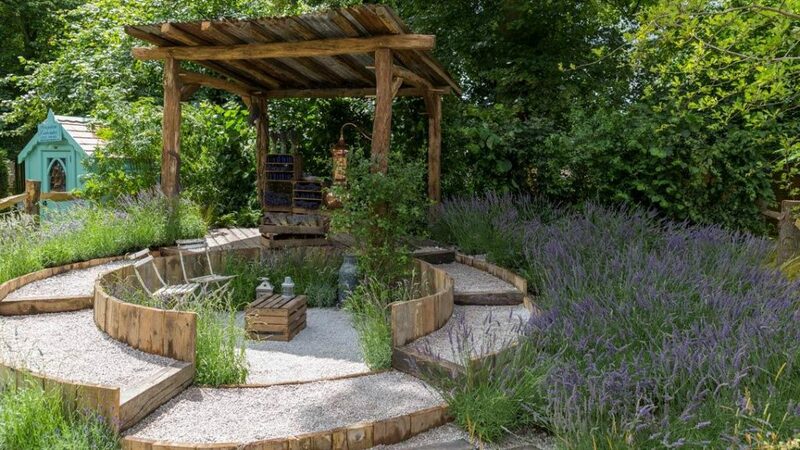 We advised that a more seasoned oak beam would be the best way forward to reduce movement in the frame itself, and give the slightly more rustic feel. The frame was fabricated at our yard and taken to the site in a kit form. 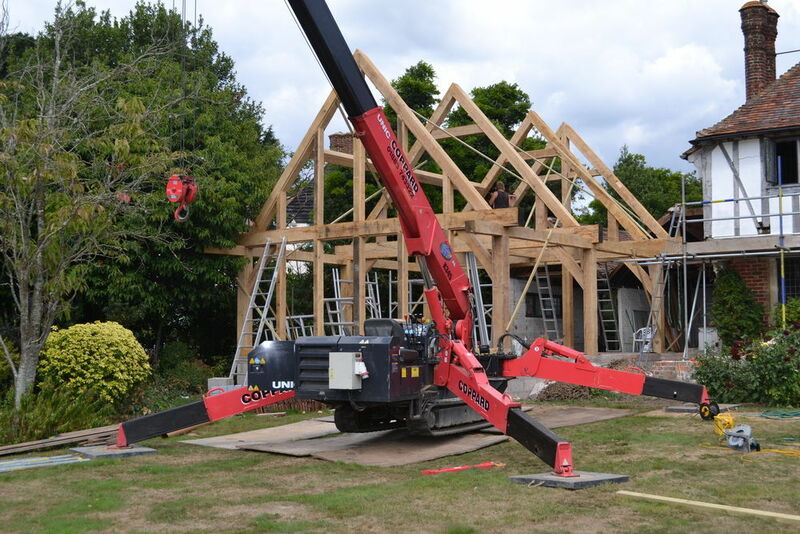 The frame was then erected on site with the use of a spider crane seen below. The fabrication of the frame itself took around 4 weeks whereas the installation took around 1 week. 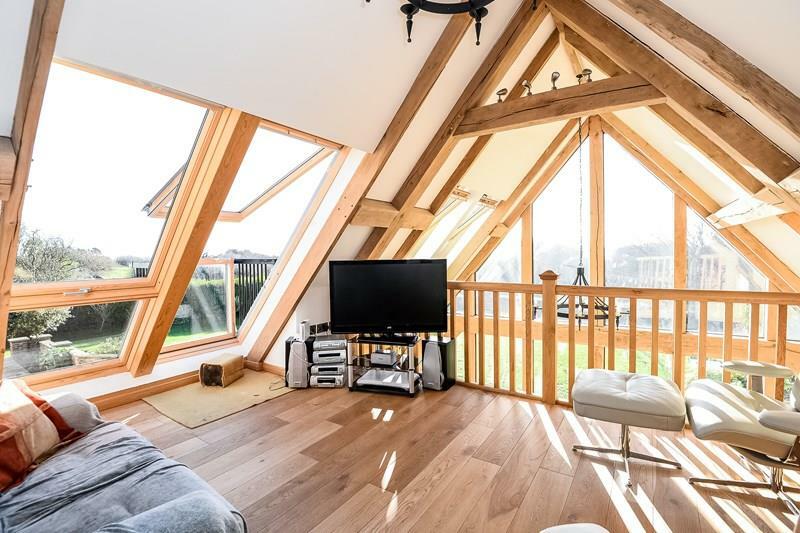 Once that frame was finished we supplied the glazing and the joinery oak capping for the gable end. 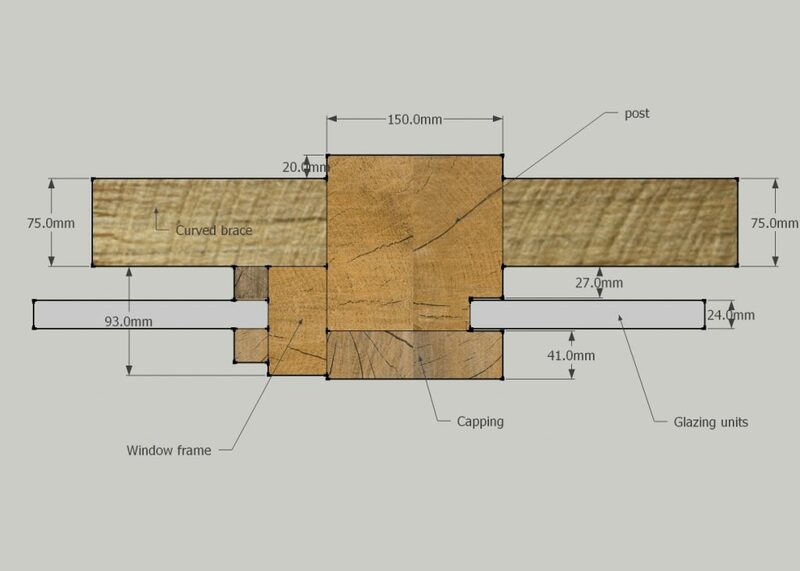 To encapsulate glazing, the oak beams are rebated, then the glass units are fitted and sealed in with a compriband type sealant. 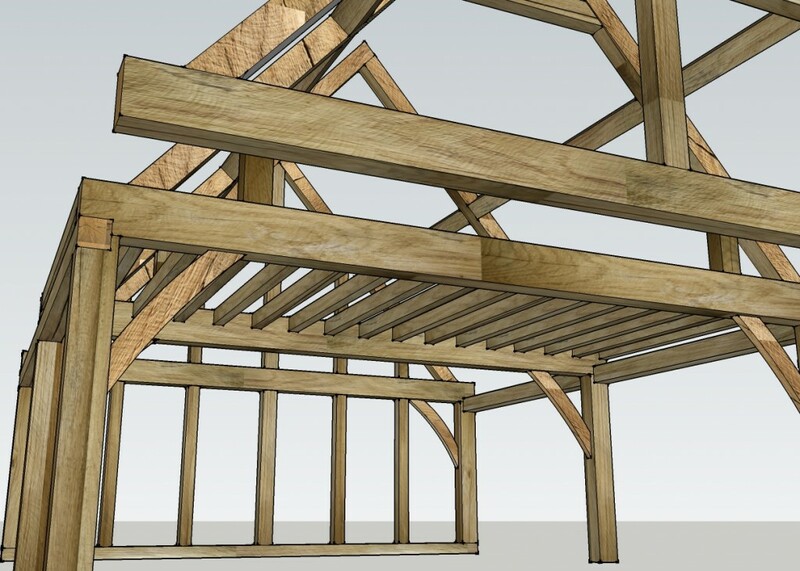 The glazing is then held in place with a machined joinery oak capping attached to the face of the beams. 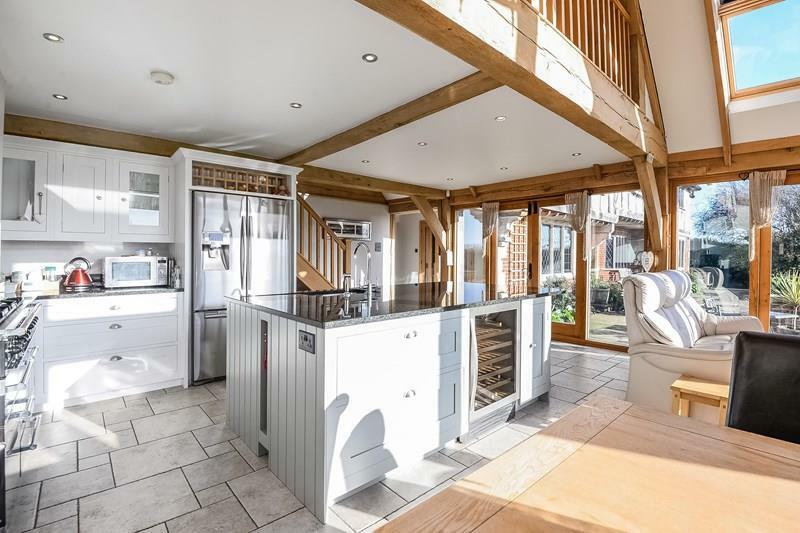 Below shows the encapsulated detailing on the right, with a more typical oak framed glazing unit on the left. 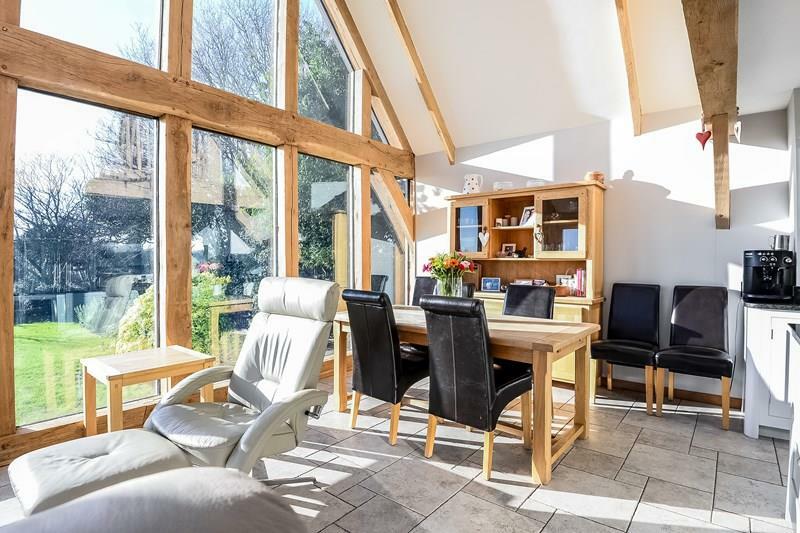 The beauty of encapsulating the glazing directly into the beam is to get a larger viewing space from the window. With the frame installed and the glazing and French doors fitted our part was done. And as you can see, the complete project was beautiful. 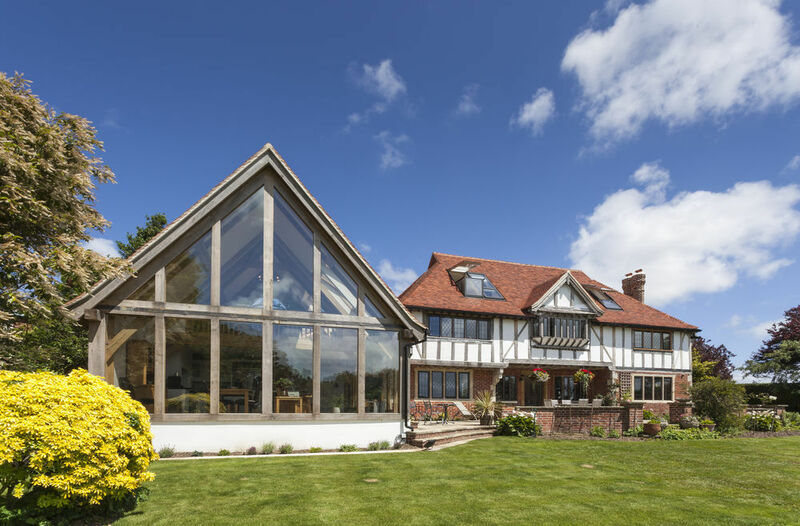 The large gable end with the full encapsulated glazing between the oak components. In the picture above you see the French doors. We fabricated these from joinery grade oak, bespoke to the sizes required. We then used hand forged door furniture to finish. If you have any questions or you are thinking about a similar project, please don’t hesitate to contact us and we would be more than happy to help in any way we can.